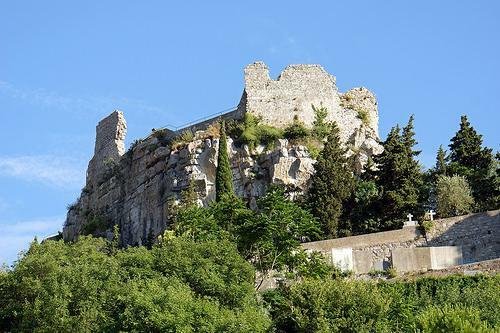 Once an imposing citadel on top of the limestone hill of Colline du Chateau, the Castle of Nice was destroyed in 1706 by the order of Louis XIV. Once an imposing citadel on top of the limestone hill of Colline du Chateau, the Castle of Nice was destroyed in 1706 by the order of Louis XIV. Today, a lovely landscaped park occupies its spot, offering gorgeous views of the Baie des Anges and Old Nice.